No matter whether you are shopping online or in store, using coupon websites can save you money. Coupon use is at an all-time high. Studies have found that as many as 96% of shoppers report having used coupons on a purchase. Thanks to free coupon websites and apps, you now have even more options for saving money on products you already buy. Using the coupon sites below, there’s no reason to pay full price on your next shopping trip. Some of them will offer digital coupons while others will require you to print them out. Either way, the result is extra savings for you. While in the past the majority of coupons were for grocery and department stores, the categories have expanded. Now, you can find coupons for everything from entertainment to massages and even your next oil change. Below are some of the best coupon site for saving money and getting more out of your next purchase. First things first, before searching through coupon websites, you’ll want to take a few preliminary steps. Just like with anything else, preparing beforehand will ensure that you score the best deals and only buy what you actually need. If you’ve never used coupons before, you’ll want to read up on how to start couponing. Getting the basics down will ensure couponing becomes a part of your regular routine. Before you know it, you’ll be saving hundreds or even thousands of dollars on purchases you were already planning to make. Before you start scouring coupon websites searching for deals, you need to get organized. Make a list of the items you want to buy and do some research to find the best price. If it’s an item you buy regularly, you may want to keep a price book so you know when you’re getting the best deal. To print out your coupons, you’ll need a printer and some printer paper. It’s also good to have a way to organize your printed coupons such as with a coupon binder or a mini accordion file. Envelopes or Ziplock bags can work as well. Make sure you go through your coupons regularly and get rid of any that have expired. Most stores won’t take coupons that are past the printed expiration date. When you first start using coupon sites, you may encounter some unfamiliar terminology. Once you become familiar with the language of couponing, you’ll find it easier and quicker to navigate stores and choose your deals. Here are a few terms you’ll likely encounter when you first start using coupons. Most coupons are either manufacturers’ coupons or store coupons. When a coupon says “manufacturer’s coupon” at the top, it’s issued by the company that makes that product. For example, if you have a manufacturer’s coupon for Cheerios, it was issued by General Mills — the company that manufactures the cereal. Manufacturers’ coupons can be used at any store that accepts coupons. They can only be used for the products specified on the coupon, so make sure to read the fine print. Printable manufacturer coupons are exactly the same as the manufacturer coupons mentioned above, only they can be printed from various websites. You’ll find printable manufacturer coupons on many of the free coupon websites we’ll be discussing below, but always note the limitation of how many of these can be printed. Printable manufacturer coupons can also be found directly on brand websites. It’s okay to check multiple locations for the same coupon. Never assume it’s okay to make copies of printable manufacturer coupons because they have been printed. 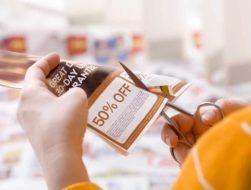 These printable coupons are still tracked with unique numbers and have legal usage limits. If a coupon has the words “store coupon” at the top, it’s issued by a particular store and can only be used at that retailer. 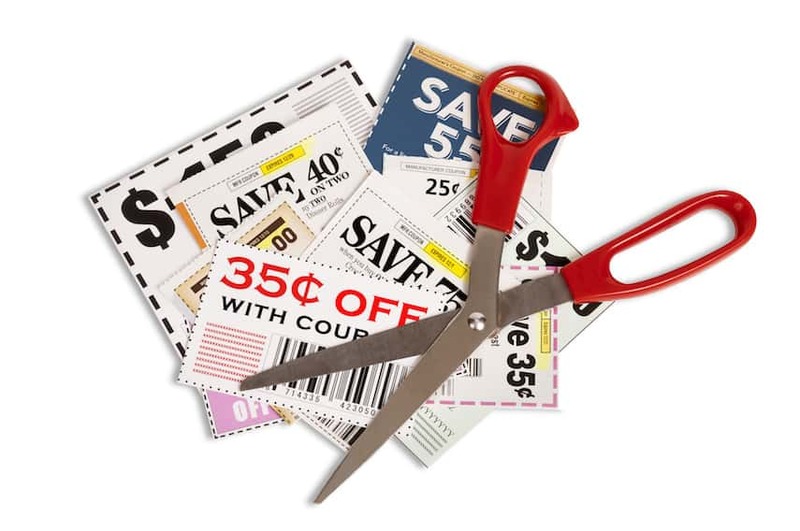 Store coupons usually have the logo of the store on the coupon and say something to the effect of, “can only be used at [insert store name].” Depending on the store’s coupon policy, store coupons can often be used in combination with manufacturers’ coupons (called coupon stacking). All coupons have an expiration date, which is usually found at the top the coupon. Some coupons may list it at the end of the disclaimer text, so make sure to read all the fine print. Most stores won’t accept expired coupons or coupons without an expiration date. Review all coupons closely before using them to ensure they haven’t expired. Some coupon websites offer cash back instead of (or in addition to) an upfront discount on your purchase. This is offered as a percentage of your purchase total before taxes and after coupons. The cash back amount is credited to the account you create on the coupon site, and you can select how to receive the payout. Every website has its own cash back rules, so make sure you read all information closely when you sign up and create an account. With in-store cash back, you get back a percentage of your total from in-store purchases. This is the total before tax and after any coupons. The main difference between this and standard cash-back coupon sites is that you usually have to link your credit card through the online cash back portal to get your money. Some sites require that you select what store you’ll be shopping at before swiping your card in order to receive the cashback amount. Similar to printed coupons, coupon codes give you a discount from your purchase total. Instead of printing a coupon, you’ll get a coupon code that you can use when you check out online. Most websites have a field for coupon codes when you’re checking out. Put the coupon code in the designated field and just press enter to apply it to your purchase. Make sure you follow all listed requirements or the coupon code won’t work. Now that you have the terminology down, it’s time to go shopping. To get the best deal on your online purchases, check out the best coupon websites below. Each one may have a different deal or coupon code you can try out on your next shopping trip. One of the great things about coupon sites such as Swagbucks is that they give you the option to save in several different ways. You can print out physical coupons to use at grocery stores, drug stores, your favorite clothing brands, and more. For each coupon you print, you’ll earn 1 Swagbuck. However, you can earn more when you redeem deals online. As you accumulate Swagbucks, you can cash them in for gift cards popular stores. In addition to physical coupons, Swagbucks offers you the option for cash back when shopping online at your favorite retailers. Just make sure to click the Swagbucks link that leads to the retailer’s website. The portal also offers exclusive discounts and deals at major retailers that you won’t find on other coupon websites. Other ways to earn cash back with Swagbucks include playing games, watching videos, taking online surveys, purchasing gift cards, and using the Swagbucks search engine. As a new user, you also get $10 for creating your Swagbucks account. Ebates is a great option for using coupons and getting cash back on your purchases. It’s completely free to sign up for Ebates, and doing so will give you access to some of the best deals on the market. Ebates will often give you cash back for purchases you make through other coupon sites on this list on top of your regular savings! The site even offers a handy Chrome browser extension that alerts you if there is cash back available on a site you’re currently browsing. There are more than 2,500 stores that offer cash back through Ebates, including major retailers such as Amazon and Walmart. Around major holidays, Ebates runs double and even triple cash back specials for select retailers. You can get anywhere from 4% to 12% cash back and even more during double and triple cash back events. You can also link a credit card through your account and get cash back when shopping in-store at some of your favorite stores. See Also: Ebates Review: How Does This Cash Back App Work and is it Legit? Groupon is the best coupon site for getting deals on restaurants, entertainment, beauty and spa services, and other events in your area. They also offer discounts on travel, including hotels, vacation packages, and even tours at popular destinations around the world. Their “goods” section includes discounted merchandise on everything from necklaces to cell phones. In addition to local deals, Groupon also offers coupons to thousands of stores on- and offline. A few places you can find discounts include Amazon, Blue Apron, The Home Depot, Kohl’s, Walmart, and Target. With all the local deals, Groupon is a great place to save on your monthly entertainment budget. Similar to Groupon, Living Social offers many different ways to save and get the most bang for your buck. The site includes discounts and coupons for local businesses. It’s a great place to look if you live in a city, but there’s not much available for smaller towns and rural areas. Popular savings categories include activities, food and drink, beauty and spas, home goods, and kid items. Many people who use Amazon don’t even realize the site offers tons of coupons for its own products. These are often manufacturers’ coupons that you can apply directly to your next purchase with the click of a button before adding the item to your shopping cart. You can find coupons for anything from shaving cream to cereal. One thing to note is that the coupons you find can only be used on purchases made through Amazon. In addition, some coupons are only available to Prime members. If you regularly shop on Amazon, then Amazon Coupons is a place you’ll definitely want to bookmark. DontPayFull’s mission is in its name — to help you pay less and save more. Their site has over 10 million offers from more than 120,000 stores. To find deals on DontPayFull, visit their site and type in the name of the brand or offer you’re looking for. If you don’t have a particular brand or deal in mind, then you can browse by category instead. When you find a deal you like, just click on the “get deal” button to claim the offer. You’ll be redirected to the retailer’s website where you can shop around. Once you’re ready to check out, the deal will automatically be applied to your cart. The DontPayFull blog also has tips for how to save on everything from travel and entertainment to food and fashion. For coupons and deals delivered straight to your inbox, consider creating a free DontPayFull account. When it comes to coupon websites, Coupons.com is one of the best. This site offers a wide selection of digital coupons for popular online and brick-and-mortar retailers. The coupons are updated monthly, so make sure to check back at the beginning of every month for the new set of discounts. When you first use the site, it’ll ask you for your ZIP Code in order to locate relevant deals in your area. You can print out coupons to use at grocery stores, drugstores, and general merchandise retailers. Or, if you’d prefer, link a credit or debit card to your account for cash back on everyday shopping. RetailMeNot is another one of the major online coupon sites where you can find coupon codes and deals at your favorite retailers. The home page features trending deals of the day, but if you look across the top navigation, you’ll find several other savings options. In addition to traditional coupons, other ways to save include getting cash back or a discount when purchasing gift cards. Recent gift card deals included Lowes, Starbucks, and Sephora. RetailMeNot also offers an RxSaver option to help you compare prices and save money at the pharmacy. You may remember the name RedPlum from the coupon books and flyers you receive by direct mail or through the newspaper. Now you can find the same local deals via their online platform at RetailMeNot Everyday. The site has both printable and downloadable coupons, which are usually updated on Sunday. Other cool features include a blog with helpful information and advice on beauty & style, home, health, and lifestyle topics. SmartSource is another brand you may recognize from your Sunday newspaper inserts. In addition to the paper coupons you’ll find in most Sunday newspapers, the company also has a website where you can print many of the same deals. This can be useful if you’re trying to get more copies of a physical coupon you found in the paper. When you go to the site, you’ll notice that it only offers printable coupons. However, it’s well laid out and clean, which makes it easy to find the coupons you need. There is also a coupon app you can download on your phone so you always have access to deals on the go. This site will help you save money on everything from groceries to contacts lenses and even flights. On Savings.com, you can find both printable and online coupons for popular products and retail outlets. Additionally, the site offers local deals similar to Groupon. You can also find sales circulars for large retailers in your area, including grocery and department stores you probably already use. Having all of the sales ads in one place is especially helpful as you plan out your grocery shopping for the week. One of the unique things that make SlickDeals a little different from other coupon websites is the emphasis on community. In addition to the deals curated by the site’s editorial team, you can find member-sourced bargains from around the web. The latest finds are listed on the front page. You can also check out the forums for current hot deals and freebies. There’s even a section on getting the best price on your next vacation. If you’re looking for a particular product, head over to the “help me find a deal” forum thread and members will be happy to help you find the best price. 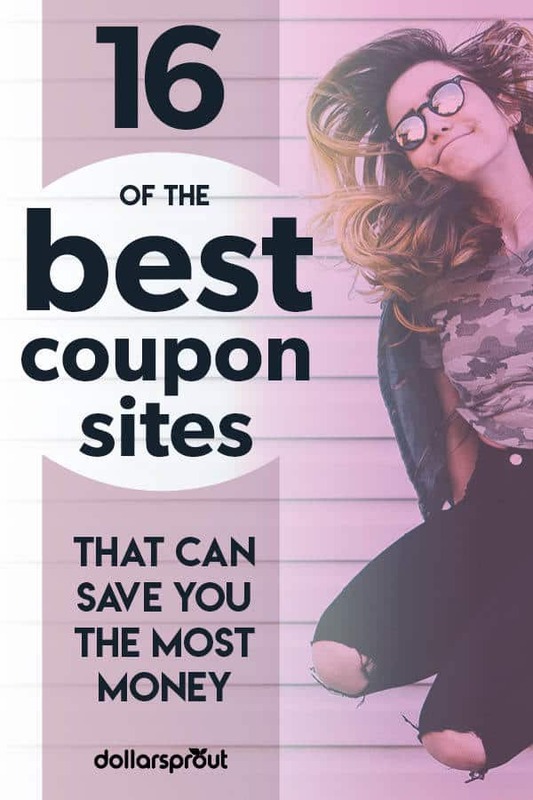 If you’re new to couponing, head over to The Krazy Coupon Lady site for expert coupon tips in addition to both printable and online coupons. The website also offers weekly deal matchups by stores, which can be especially helpful when you’re first starting out with couponing. Deal matchups are helpful guides to the best combination of sales and coupons for a particular store. For example, if a store has General Mills cereal for sale, the coupon matchup for that store will show what available coupons can be used in combination with the sale. There’s usually even a link leading to the coupon so you can print it out. ShopAtHome works similarly to Ebates, giving you money back for online shopping. You’ll need to sign up for a free account so you can check out the deals they offer. To get cash back, log in and click on the link to the store you’re planning to shop at via the ShopAtHome website. The site offers online coupons and discounts that can be combined with the cash back offers. It’s a great way to double your savings without much effort. Another way to earn cash back is by taking paid online surveys, which are updated daily. Once you’ve accumulated $20, you can redeem them either through PayPal, a check, or an Amazon gift card. In addition to its large coupon database, Hip2Save offers hot deals on everything from baby products to home and restaurant savings. There’s also a freebies section, which is a great resource for getting free products, books, food, and much more. The site lists both product discounts and store deals and sales events. You can also find recipes, craft and DIY project ideas, as well as tips on budgeting, cooking, family, home and gardening, and more. Brad’s Deals offers the latest deals from a range of popular retailers. The home page of the site features the Editor’s Pick section, which offers hand-selected deals from the site editor. You can browse the coupons section for discounts from individual retailers. The website also offers shopping guides on popular and seasonal items including discounts on technology and deals under $25. If you’re looking for tips on saving money and the best time to buy certain products, check out the “save money” section for the latest scoop. If you’re looking to save money, there are many different coupon sites that will help you find the best deals. Before your next shopping trip, check out some of the free coupon websites on this list to find discounts and coupons you can use on your purchase. Once you discover the many different ways you can save money and get cash back, it’ll become second nature. Don’t forget to search for a coupon code before you make any online purchase. For in-store shopping trips, check out the coupon websites that offer printable coupons. 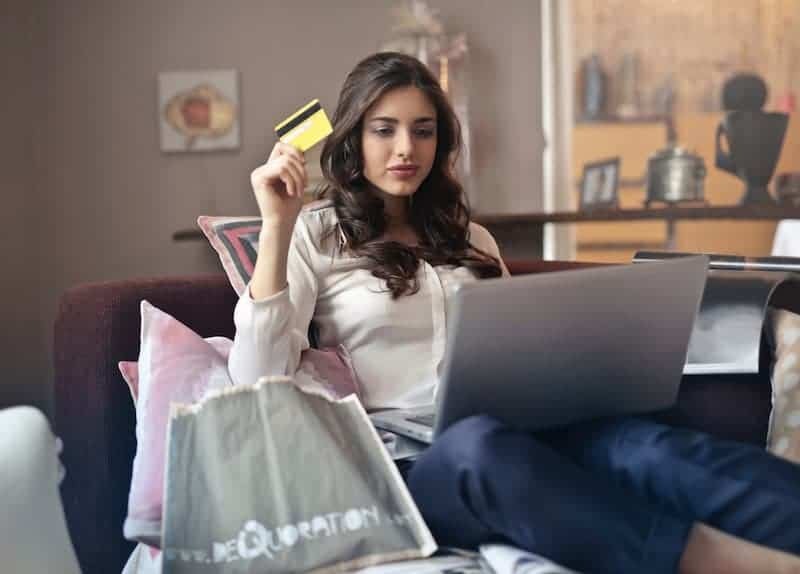 One of the best ways to save money online is by combining a sale with a coupon and going through a cash-back portal like Ebates. This can help you maximize your savings. You’ll be amazed at how easy it can be to save money and get a better deal. I use DealRice. DealRice has some of the best deals and there’s no wait (you get the code right away), unlike many other sites. DealRice’s codes have always worked for me so far and I have been using it for a while now. I have had issues with other sites coupon codes not working and trying to make contact to no avail. If you want to save and get great deals definitely check out DealRice!